We started our business with one simple aim – to create a holiday experience that we ourselves would love to enjoy. We have tried to think of everything, so that you don’t have to. We thrive on feedback and are continually looking for ways to make your stay even more enjoyable. At Brecon Retreat, we know that it’s a joy to holiday with our pets but it’s not always easy to find a great self catering place to stay. 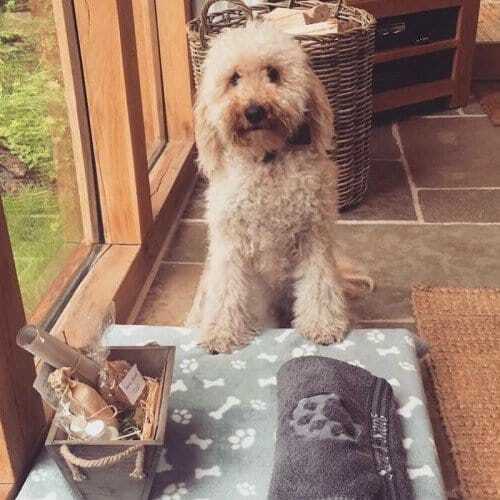 When you stay with us, you don’t sacrifice staying in a stylish place for the sake of your “best friend,” after all dogs deserve the very best too and our 5 star accommodation provides the perfect place to get away from it all with the whole family. Due to the nature of the National Park, many places are dog-friendly. However, to help you to get the most out your holiday, we provide a comphrensive list of places to eat and drink, where you can take your dogs with you. So take a look at our website, and have a look for yourself – we manage every aspect of your booking ourselves, so can promise you the very best service ensuring your holiday with us will be just perfect.